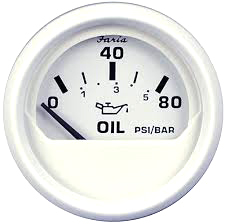 White Faria oil pressure gauge 0-80 PSI. White background with black graphics and pointer. White low profile bezel with flat lens.